The Asus ZenFone Max is next in the line that was pioneered by Lenovo - phones with huge battery packs to sate your range anxiety. Lenovo outed the Vibe P1 with a 5000 mAh juicer at the IFA expo, but now it has a real competition in the face of the ZenFone Max, which sports the same gigantic capacity. 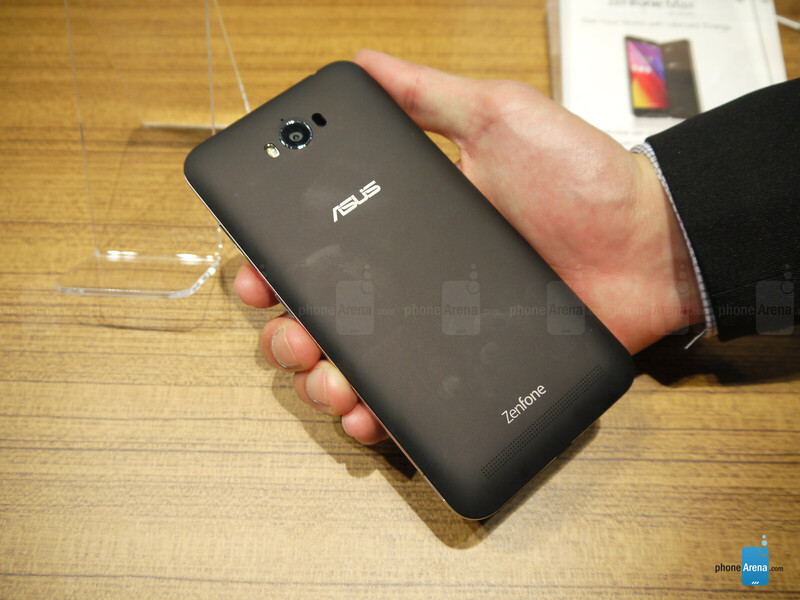 We took a first look at the next in the myriad of Asus ZenFone versions, and here is what we saw. The ZenFone Max has quite the grippy feeling in the hand, aided by its relatively thick chassis, though the soft plastic on the back smudges really quickly, as this material often does. The phone can't be called thin for today's anorexic standards, yet it is not as fat as a 5000 mAh juicer would suggest. The battery is of the Li-Pol kind, so it is more compact and tightly stacked than usual, but it is non-removable, though you can pry off the back cover with ease to access the memory card and the dual SIM slots. Asus took a different approach to the ZenFone Max, when compared to the Lenovo warrior, going a notch down in specs, and outfitting the Max with a 5.5" HD display only. Granted, you lose on pixel density, especially in our 2K, and even 4K mobile display times, but gain on battery strain, so the 720p display should make the phone last even longer on a charge. At that size, the display looks slightly pixelated to our discerning eyes, but for the typical user that might not be a problem. It is still an IPS-LCD panel, though, so the viewing angles are very good. Slowly and steadily, we’re increasingly becoming attracted to Asus’ customized Android experience – the ZenUI. 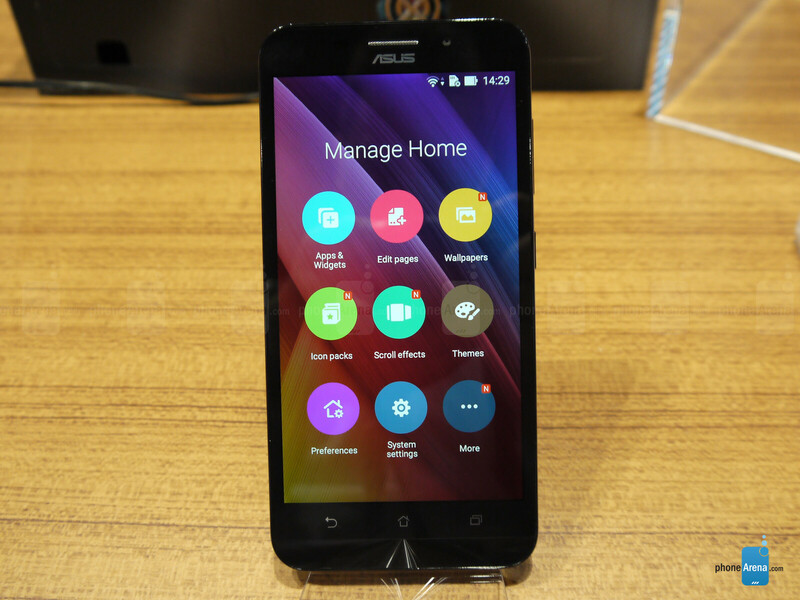 Here with the ZenFone Max, it’s running the most up-to-date version of the UI on top of Android 5.1 Lollipop. Visually, there’s a balance between minimalism and responsiveness, as nearly every interaction is accompanied with some sort of cool animation. 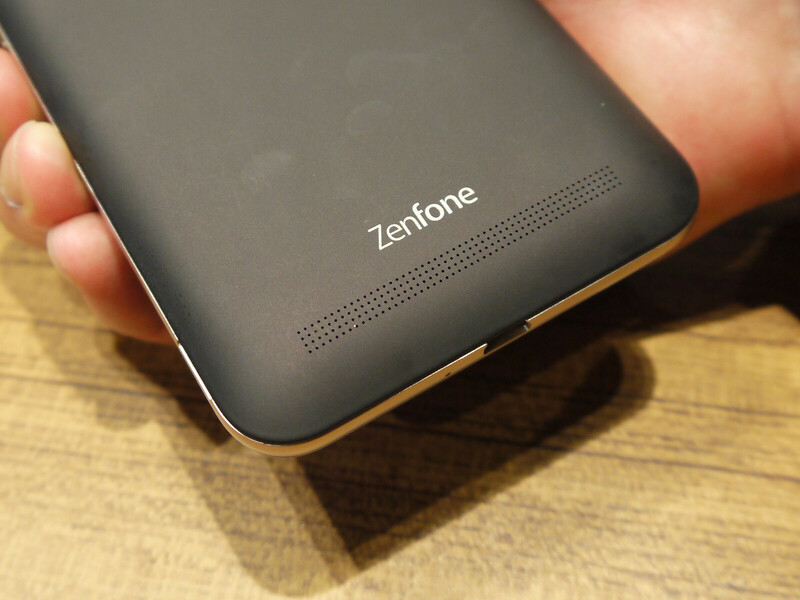 chipset inside the ZenFone Max, with a quad-core Cortex-A53 setup, clocked at 1.2 GHz. This silicon is paired with 2 GB of RAM, so unless you are into heavy gaming or lining up tens of apps at once, the performance should suffice, as the GPU is driving much less pixels than if there had been a more resolute screen on the Max. 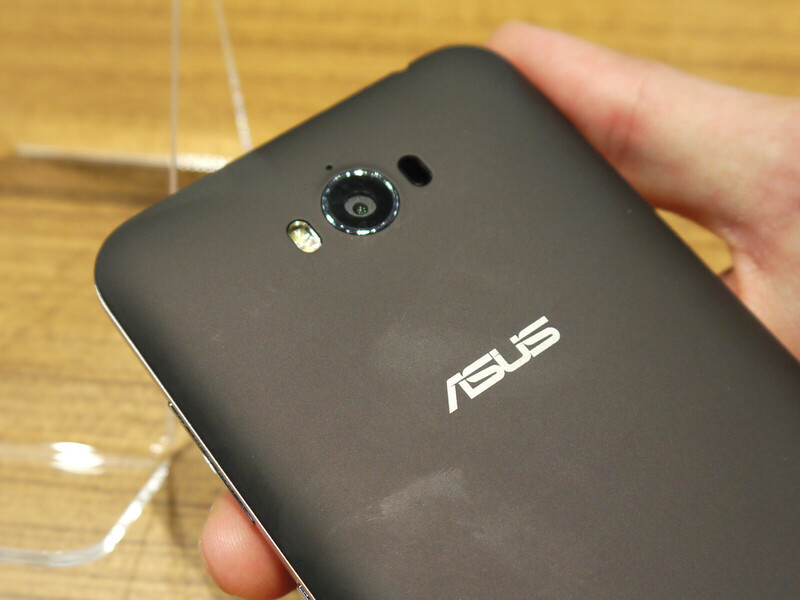 There are 8 GB/16 GB storage versions of the Max, but Asus placed a memory card slot for extra expansion, too. Asus talks quite a lot about the 13-megapixel PixelMaster rear camera that it puts on most of its ZenFones, which features a 5-element f/2.0 aperture lens, and a dual-color Real Tone LED flash. 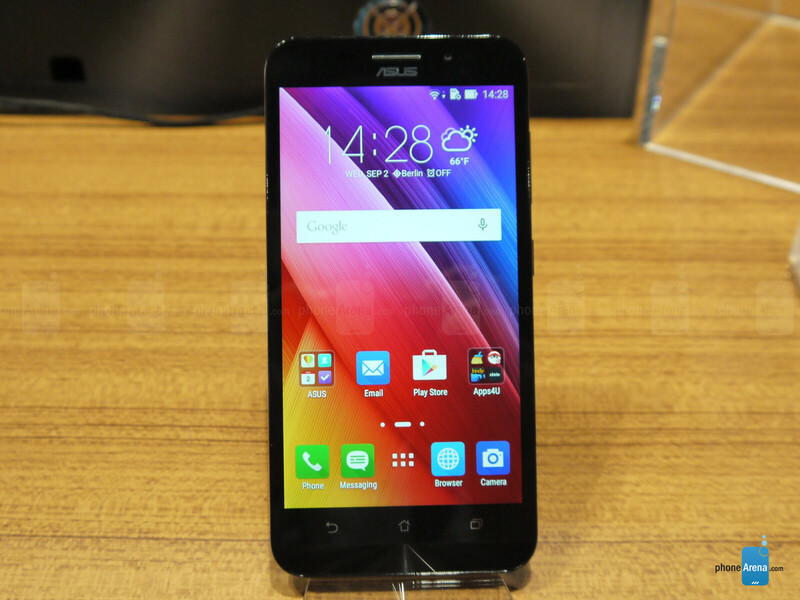 The ZenFone Max also adds laser autofocus for more accurate distance reading and quicker focusing. Asus highlights that the camera is an excellent thing to use for low-lighting situations, as its dynamic-range mode is able to adapt and enhance photos to expose improved details and the color range. From what we've seen, the ZenFone cams do pretty well when there is enough light around, suffering a bit at night, but the new setup on the Max might have changed that. Around the front, the phone sports a respectable 5-megapixel wide-angle camera with an f/2.0 aperture lens. Everything sounds good, but until we see real sample from a final unit, we shall reserve our judgment. The shining star in the ZenFone Max is its huge 5000 mAh battery pack, which Asus claims would provide you with two-day battery life. That's somewhat disappointing, as Sony, for example, claims the same thing for all of its flagships now, and they come with much smaller battery packs, though at a much higher price. We shall see how battery life tests go, but still, having a phone that can last a weekend away from the charger in your pocket is reassuring enough. Asus has been mum on pricing yet, but the ZenFone Max should land soon, and, given the specs, should be joining the sub-$300 crowd without a contract, which makes it a good getaway or weekend backup handset. What happened to the "razor thin design" it was advertised with? 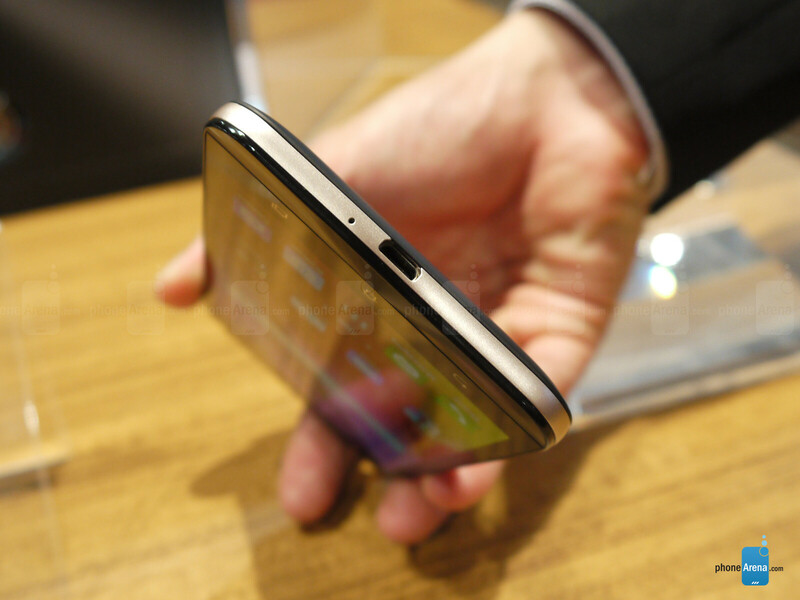 Zenfone nope. I dont mind the rez downgrade, but a 410? Seriously?